MiFi are small wireless gadgets that allow many users to share one single broadband internet connection while the users are on the move. It works by establishing a local signal instead of the wireless routers that is utilized by the home broadband providers. MiFi mobile broadband is available for both pay as you go and contract options. MiFi uses 3G mobile networks in order to establish a mini wireless broadband internet cloud that can be shared among the many 3G supported devices such as laptops, mobile phones, games consoles and netbooks. The broadband internet signals of the new MiFi devise can be shared easily with around five users. To get the signal one has to be within 10 metres from the device. 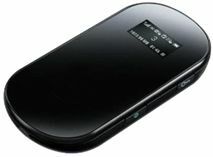 The MiFi mobile broadband delivers 3G internet connection with the high speeds of about 21Mb which is expected to boost in the future, especially with the next generation 4G networks with super fast speed of about 100Mb. MiFi was first introduced by the Three and it was followed by Vodafone, Orange and T-mobile. MiFi can be installed easily by even novice user. One needs to turn on the device and than wait for the PC or laptop to detect its signal. It does not need any type of software to install and it takes only a few seconds to access super fast internet service. A dongle will enable the user to access internet service from one device in a time while the MiFi will allow up to five users to use the network signal at the same time. MiFi does not require to be connected to a device in order to access internet. It can be simple placed in the perfect position to get good internet signal. MiFi also enables the user to store important files. It is compatible with the microSD media memory card that can be easily inserted to the MiFi in order to increase the storage space.